The Tolkien Society is delighted to announce that Charlie Ross will be bringing a touch of comedic glamour to The Return of the Ring this summer with an exclusive performance of his show 'One Man Lord of the Rings'. 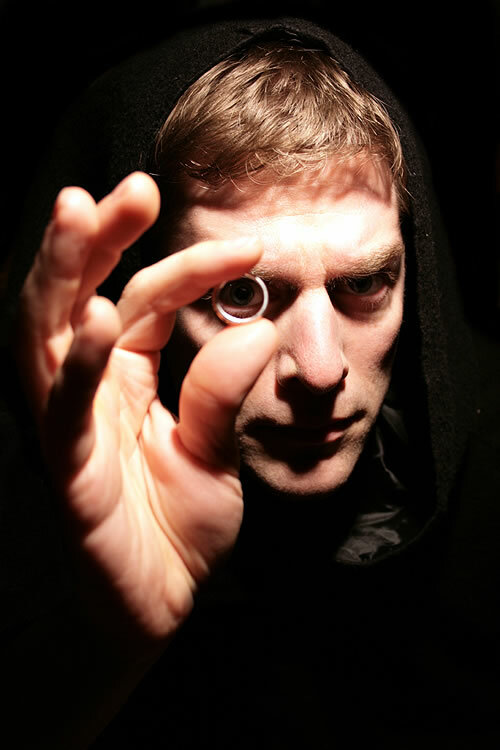 Charlie Ross, also the star of 'One Man Star Wars Trilogy', will be bringing his internationally-acclaimed worldwide tour of 'One Man LOTR' to The Return of the Ring this August for an exclusive one-off show. The Return of the Ring takes place at Loughborough University, England on 16th-20th August 2012 with Charlie Ross's 'One Man LOTR' taking place on the afternoon of Friday 17th. The Return of the Ring celebrates the forthcoming films and the 75th anniversary of the publication of J.R.R. Tolkien's The Hobbit, and is the follow-up to Tolkien 2005 that commemorated 50 years of The Lord of the Rings and which was recently described by Ring*Con founder Marcel B&uuml;lles as &quot;probably the best Tolkien-related event in history&quot;. Charlie Ross adds to the already-exciting roster of guests that includes: authors and academics Tom Shippey, Verlyn Flieger, Brian Sibley, Colin Duriez, John Garth and Corey Olsen; artists Ted Nasmith and Jef Murray; directors of Born of Hope and The Hunt for Gollum Kate Madison and Chris Bouchard; and French Middle-earth re-enactment society The Company of the Green Dragon. To view all our guests, including Charlie Ross, please go to: http://www.returnofthering.org/guests.php. To learn more about The Return of the Ring, and to book, go to: http://www.returnofthering.org.